South American heavyweights Argentina get their Copa America underway against Paraguay. The Argentines are clear favourites to claim maximum points but must not take the 2011 runners-up lightly. Argentina were relentless as they wrapped up their Copa America preparations with a devastating 5-0 win against Bolivia. Sergio Aguero netted his first international hat-trick and Angel di Maria - captain in the absence of Lionel Messi - grabbed two goals of his own in either half to lead the South American giants to their third victory in as many matches in 2015. Neither player showed any signs of fatigue at the end of the Premier League season and Bolivia were no match for Gerardo Martino's side, even with Messi absent as he was achieving Champions League glory with Barcelona in Berlin. The runner-up of last year’s World Cup will go into the Copa America fancying their chances of lifting the trophy. Head coach Martino has almost an embarrassment of riches to choose from, and will be hoping to make up for last summer’s agonizing extra-time defeat to Germany. With a team full of stars, led by captain Messi, this could be the end to a 22-year drought for the Albicelestes. Argentina have lifted the trophy on 14 separate occasions, second only to Uruguay’s record of 15 wins. However, they surprisingly haven’t won the tournament in over 20 years, their last win coming in 1993. The players seem to respect the man at the helm. Martino has won six of the eight games he has had in charge. He has big shoes to fill after the Argentinean’s were only denied the World Cup by a very late extra-time goal in the final, but with a few alterations he could be the man to restore Argentina back to the greatest side in the world. Messi is arguably the greatest player in the world. That could simply be the line to talk about Argentina’s star man, as the little maestro needs no introduction. He has the ability to glide past players at pace, with an unearthly control and a deadly eye for goal. He is the complete player. He’s undoubtedly one of the most technically gifted players in world football. Messi has enjoyed another stellar season for Barcelona with magic moments aplenty, and there’s no surprise he heads the betting for the top scorer market. Since the 2011 Copa America, Paraguay began an almost unstoppable path of decline. In the qualifiers for Brazil 2014, the albiroja finished in last place and didn't qualify for the first time since 1994. Currently, the team is in the process of reinventing themselves and Chile 2015 will be a unique opportunity to have a fresh start. The Albirroja have lifted the Copa America twice in their history, but the national team is going through a testing time at the minute. Paraguay are blending old stalwarts with up-and-coming youth players and their fans are hopeful of a big showing, in a group in which they have a fairly realistic chance of progression. The Albirroja are suffering a real confidence crisis having won just once in their last 13 games in all competitions. Manager Ramon Angel Diaz has struggled to really implement his attacking style to the squad, given the rather defensive based side he has at his disposal. 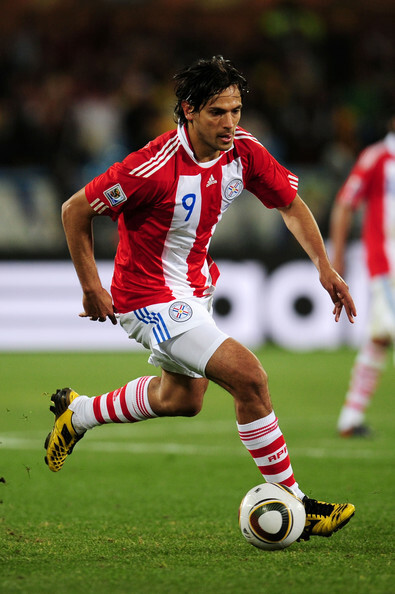 Roque Santa Cruz is the country’s all-time leading goal-scorer and current captain, it is hoped the 33-year-old will be a star-man for them in Chile. Lucas Barrios, nicknamed ‘the Panther’, is also likely to be a threat. Udinese’s bombarding full-back Ivan Piris is likely to be crucial at both ends of the pitch for Paraguay. Paraguay lack quality and depth to give the Albicelestes a true test of their character and their defensive problems will most likely be exposed. Argentina have beaten Paraguay in the last three meetings. 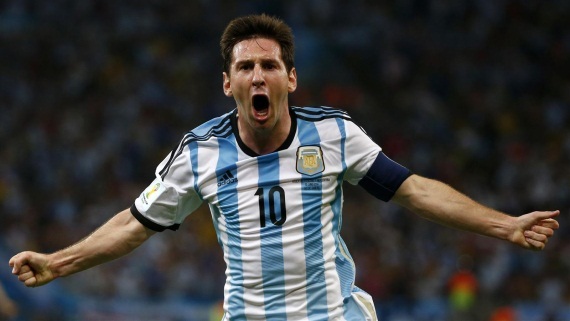 Argentina are tipped to start their title charge off with a comfortable victory. For more value, take La Albicelestes to win both halves at 18/10.